Grand Central Publishing, 9781455501984, 288pp. Margaret Roach has been harvesting thirty years of backyard parables-deceptively simple, instructive stories from a life spent digging ever deeper-and has distilled them in this memoir along with her best tips for garden making, discouraging all manner of animal and insect opponents, at-home pickling, and more. After ruminating on the bigger picture in her memoir And I Shall Have Some Peace There, Margaret Roach has returned to the garden, insisting as ever that we must garden with both our head and heart, or as she expresses it, with "horticultural how-to and woo-woo." 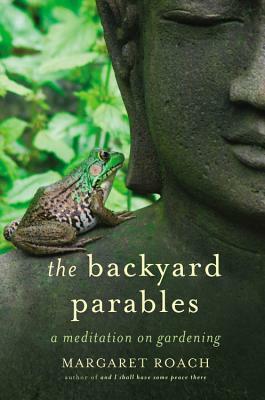 In THE BACKYARD PARABLES, Roach uses her fundamental understanding of the natural world, philosophy, and life to explore the ways that gardening saved and instructed her, and meditates on the science and spirituality of nature, reminding her readers and herself to keep on digging. Margaret Roach is the author of the memoir And I Shall Have Some Peace There. She has been an editor at the New York Times, fashion editor and garden editor at Newsday, the first garden editor for Martha Stewart Living magazine, and the editorial director of Martha Stewart Living Omnimedia. Margaret is now a consultant and avid gardener, keeping fans up to date on her website A Way to Garden, which Anne Raver of the New York Times called "the best garden blog" she'd seen. Margaret is also the author of A Way to Garden, named Best Garden Book of the Year by the Garden Writers' Association of America.